Islamic business and finance is experiencing strong growth, particularly throughout the emerging market economies of Asia and the GCC, with increasing institutional and infrastructural support. Recognizing the economic advantages and benefits reaped throughout Asia and the GCC, the industry is becoming a vital and competitive alternative to conventional finance systems throughout the world. To highlight the phenomenal performance and development of the Islamic finance industry, CPI Financial, publisher of Islamic Business & Finance magazine, will be hosting the fifth annual Islamic Business and Finance Awards in Dubai on 21st December. These Awards are recognized around the world as one of the most distinguished Awards Programmes within the financial industry. "Since their inception, the Islamic Business and Finance Awards have been setting the benchmark for successful Islamic financial institutions and experts from around the world and the region," says Dominic De Sousa, Chairman of CPI Financial. A total of 30 accolades will be presented at the Islamic Business and Finance Awards. Shortlists for the various Shari’ah-compliant banks and financial institutions are being compiled by an international panel of judges comprised of leading experts and consultants in the industry. The individual awards presented for ‘Outstanding Contribution to the Industry, ‘Islamic Banker of the Year’ and ‘Lifetime Achievement’, are ‘write-in’ awards that require the voters to nominate the individual most deserving of the accolade. 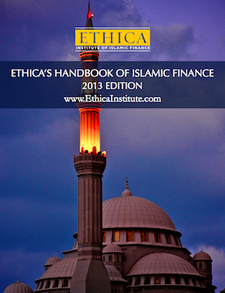 "At a global level, the significance and rising attraction of Islamic finance is transforming today’s financial world. The industry has proved to be a stable and promising finance sector, growing by 15-20 per cent over the past decade," says Robin Amlôt, Managing Editor of CPI Financial. Many are seeing that Shari’ah-compliant financial systems encompass a comprehensive screening process, greater transparency and a need to understand the nature of the investment rather than just focusing on returns. In turn, this ensures built-in checks and balances that create a more stable financial institution. "Islamic assets are now worth around $1 trillion and with a global Muslim population of nearly two billion people we are seeing a clear shift in preferences towards Islamic finance. Up to 50 per cent of all Muslim savings are likely to be held by Islamic banks by 2020," Amlôt adds. In response to the extraordinary growth rate of Islamic financial institutions, the Islamic Business and Finance Awards continue to draw industry attention and an ever-increasing audience. Being held on 21st December at the Emirates Towers Hotel in Dubai, the Awards ceremony will honour the exceptional performance of various global and regional organisations as well as distinguished individuals within the Islamic finance industry. This entry was posted in Awards, Events held and planned, United Arab Emirates. Bookmark the permalink.